WASHINGTON (Reuters) - U.S. securities regulators are examining the behavior of several companies with links to FIFA or other soccer bodies caught up in a major corruption scandal to see if there were possible violations of U.S. federal bribery laws, a person with knowledge of the matter said. It opens a new front in a wide-ranging investigation by the U.S. and Swiss authorities into bribery involving soccer officials, marketing executives and various companies. In late May, the U.S. indicted nine soccer officials - most of whom held positions at FIFA - and five executives for a range of offences related to more than $150 million of alleged bribes and kickbacks. The SEC probe centers on publicly-traded companies who have been involved in soccer contracts, such as athletic shoes and sportswear company Nike Inc, said the source, who asked not to be named because of the non-public nature of the investigation. The description of the $160 million, 10-year deal signed by "Sportswear Company A" matched exactly the details of Nike's agreement to become the footwear and apparel supplier and sponsor of the Brazilian national team, which at that time was the most successful in the world. The SEC and the U.S. Department of Justice both have power to bring FCPA cases, with the SEC's jurisdiction centering on violations by public companies. The law's core anti-bribery provisions only apply to payments to governments or government officials. The Brazilian Football Confederation (CBF), which signed the 1996 deal with Nike, is a private organization. For SEC cases, it is not enough of a defense for a company to say it did know that any of its overseas units were involved in paying bribes. "Nobody at the parent has to know that the transaction was a bribe and was misreported, only someone at the subsidiary has to know," said one attorney specializing in the FCPA. The attorney is not directly involved in the case but asked to remain anonymous to protect client relationships. "With a bribe, you have to prove that the parent knew. With books and records, you just have to have a bad entry for the parent to be responsible." Major publicly traded companies in the U.S. who are FIFA sponsors include McDonald's Corp, Visa Inc and Coca-Cola Co.
On Friday, Coca-Cola and McDonald's both added pressure on FIFA for reforms only days before its executive committee meets on Monday. 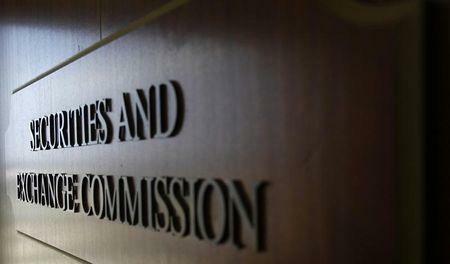 The SEC has invoked the FCPA's books and records provision before to charge public companies for violations in connection with commercial bribery. Earlier this year, the agency brought civil FCPA charges against Goodyear Tire & Rubber Co, whose Kenya subsidiaries were accused of paying bribes to employees of government-owned entities, as well as private companies. In another case in 2013, the SEC and the Justice Department both filed parallel civil and criminal FCPA cases against ATM-maker Diebold, a publicly traded company accused of bribing government officials in China and Indonesia. "Even if bribes are made only on a commercial basis, if they are misreported as promotional or other expenses, they can be the basis for FCPA liability,” Sidley Austin attorneys wrote in a client memo earlier this year.